Create a New Recurring Revenue Stream by Partnering with SnapNames to Monetize Your Non-Renewed Expiring Domains! 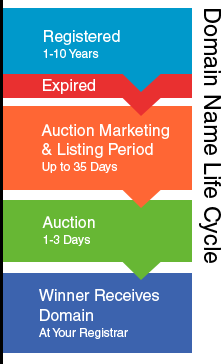 Are you currently auctioning your non-renewing Expiry Domain Names? If not, you are missing out on a valuable recurring revenue stream. 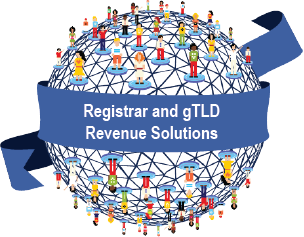 Partner with SnapNames and leverage our thriving online marketplace to turn your domains into instant incremental revenue. Set-up is quick & easy, the process is highly automated & low touch, and you gain immediate 24/7 access to SnapNames's global buyers! We take our partnerships seriously and provide hands-on guidance to find solutions that meet your needs. In fact, we're experts! With over 15 years of experience, we pioneered the first commercially available and patented technology for backordering registered domain names. We are the web's domain name marketplace of choice, bringing the world global access to already-registered domains with the convenience of online and mobile access to buyers in over 130 countries. There's nothing better than exceeding your revenue goals with minimal risk. VerisignÂ data shows that 25% of .com and .net domain names will not renew. Auctioning them through SnapNames provides a valuable source of revenue for your inventory. With our fast & easy implementation, you can go live in less than two weeks. Our best-in-class tools are designed to help Registrars succeed, and our detailed reporting gives you an in-depth look at how valuable it is to be a SnapNames partner.